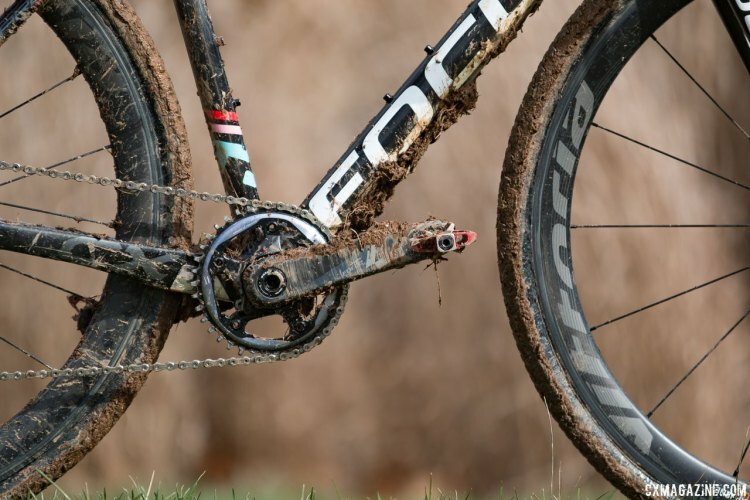 This morning we continue our look at winning and interesting bikes from the 2016 USA Cycling Cyclocross National Championships. And this week we’re looking specifically at those bikes that are on their way to Zolder for the World Championships. 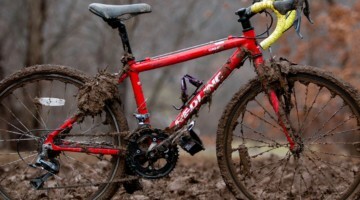 Ellen Noble’s bike shown here is from her winning ride in Asheville. 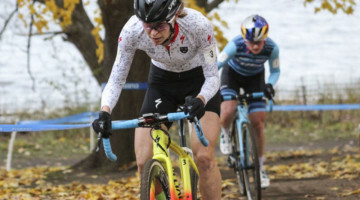 While riders sometimes make small tweaks in gearing or tires before a major event, the bike Noble rode to the win at the Biltmore Estate is likely going to be the same one she rides for the World Championships. 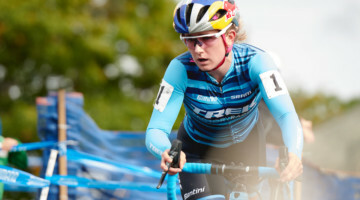 Noble is a likely candidate for the podium or even the gold medal at Worlds in the UCI’s new U23 Women’s category being offered for the first time ever at Worlds in Zolder. 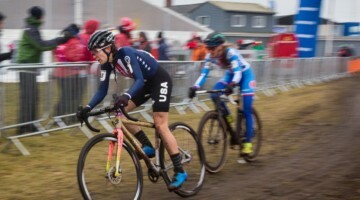 Mirroring the 17-22 combined field she rode away from in Asheville, the new U23 Women’s race at Worlds looks to be a great chance for Team USA to come home with some hardware. Here’s a look at Noble’s bike, a Focus Mares CX, that she won on in Asheville and will likely race in Zolder this weekend. You can get the latest on the World Championships here. 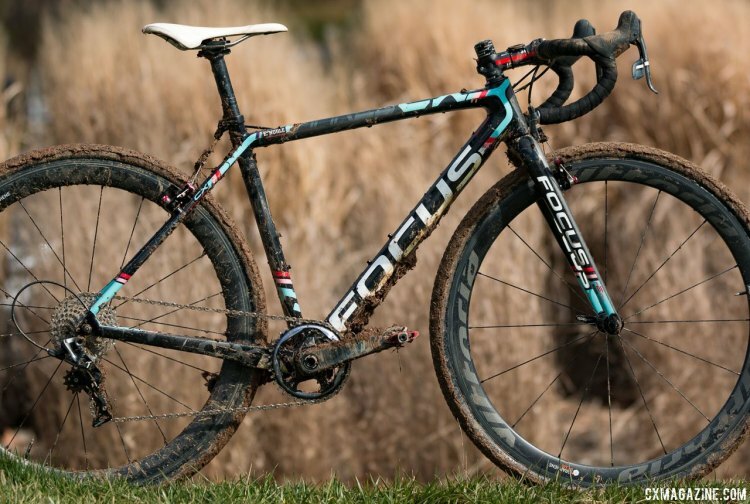 The Focus Mares CX is a venerable workhorse of the modern cyclocross scene. Ridden not only by Noble, but also by Jeremy Powers and countless other elite riders, it’s also a fairly common site on many local scenes. The frame is made of Focus’ CC P2T 10 carbon and the fork also from Focus is constructed of what the call their CX P2t 10 carbon. While current consumer offerings from Focus are disc models utilizing Focus’ Rapid Axle Technology (or R.A.T. for short), Noble’s bike is a cantilever-equipped affair sporting quick release axles, both technologies decidedly old-school for this young rider. Noble runs a SRAM Force 1 drivetrain with a 38 tooth front ring and an 11-32 tooth Force cassette out back. Vittoria is a Noble’s wheel and tire sponsor as part of the JAM Fund/NCC/Vittoria squad. Noble raced Nationals on Vittoria’s Qurano 46 carbon tubular wheels, which are slowed when needed by Avid’s Shorty Ultimate cantilever brakes set in the narrow, higher leverage position. Noble’s cockpit is a 3T affair with their ARX II Team stem and Ergosum Pro bars, both constructed of aluminum. Mounted on the bars are SRAM’s Force 1 levers as well as a stock Garmin mount instead of the widely popular out-front mounts. 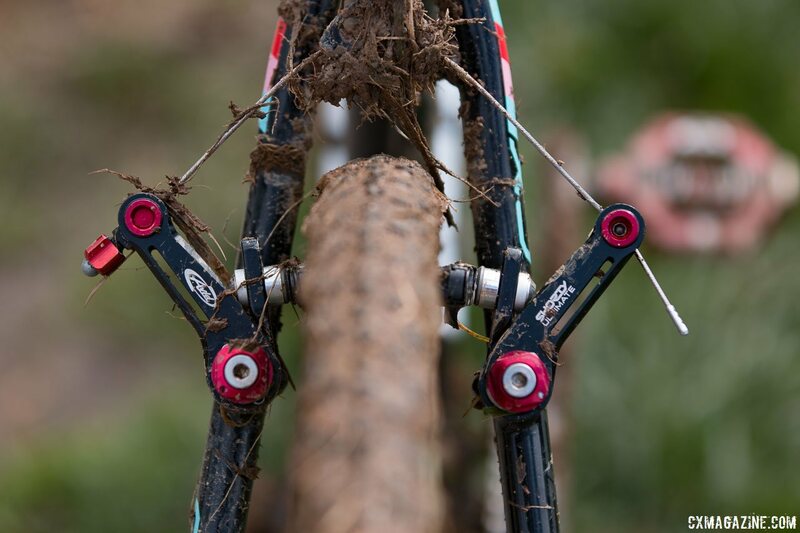 Noble’s saddle choice is the Selle Italia SLR Flow and she uses the popular Candy model pedals from Crank Brothers. 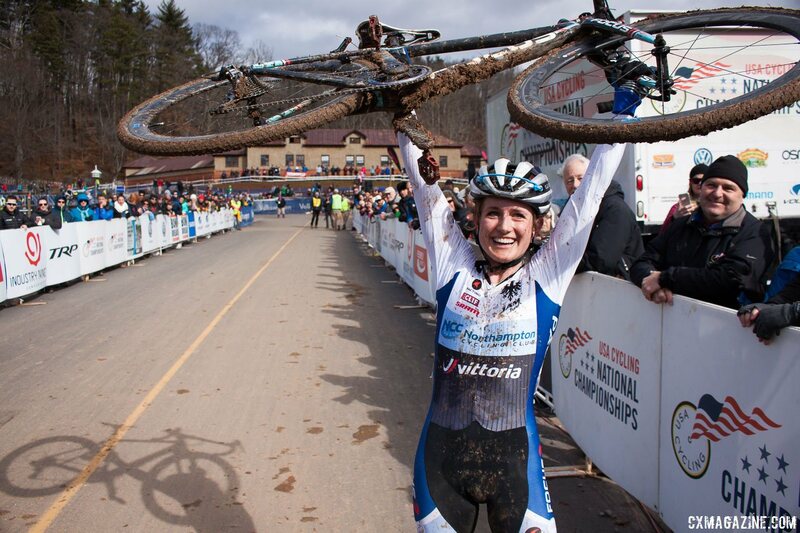 As we saw in Asheville, when Noble doesn’t have her hands on the hoods or bars riding or portaging her bike on course, she has a hold of her bike high over her head in celebration. With any luck, she’ll be doing the same thing in Zolder this weekend.